1.Define Active Record Implementation. How to use it Laravel ? Active Record Implementation is an architectural pattern found in software engineering that stores in-memory object data in relational databases. Active Record facilitates the creation and use of business objects whose data is required to persistent in database. Laravel implements Active Records by Eloquent ORM. Below is sample usage of Active Records Implementation is Laravel. Active Record style ORMs map an object to a database row. In the above example, we would be mapping the Product object to a row in the products table of database. 2.List Types of relationships supported by Laravel. 3. What is Query Builder ? 4. What is Laravel Elixir ? 5. How to enable maintenance mode in Laravel 5 ? You can enable maintenance mode in Laravel 5,simply by executing below command. 6.List out Databases Laravel supports ? 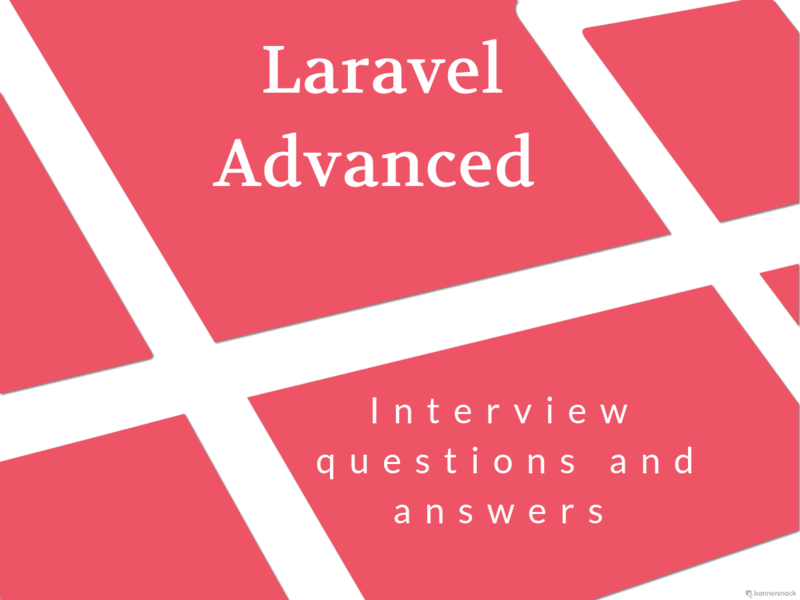 7.How to get current environment in Laravel 5 ? You may access the current application environment via the environment method. 8. What is the purpose of using dd() function iin laravel ? Laravel’s dd() is a helper function ,which will dump a variable’s contents to the browser and halt further script execution. 9. What is Method Spoofing in Laravel ? 10. What are Model Factories ? 11. What are Accessors and Mutators in Eloquent and why should you use them? 12. How do you register a middleware? 13. How to setup localization for an application in Laravel? 15. What is an Observer?